Was taking a photo walk with a coworker and we decided to stop by a flowering bush in some sunlight, at which point I noticed some bees on the bush on the other side of the sidewalk. Inspired in part by my bee photos from last year (see Why I Do Photography), I decided to give it another go. I ended up with the shot above; not quite what I had in mind, but I think it came out reasonably well. This is awesome! 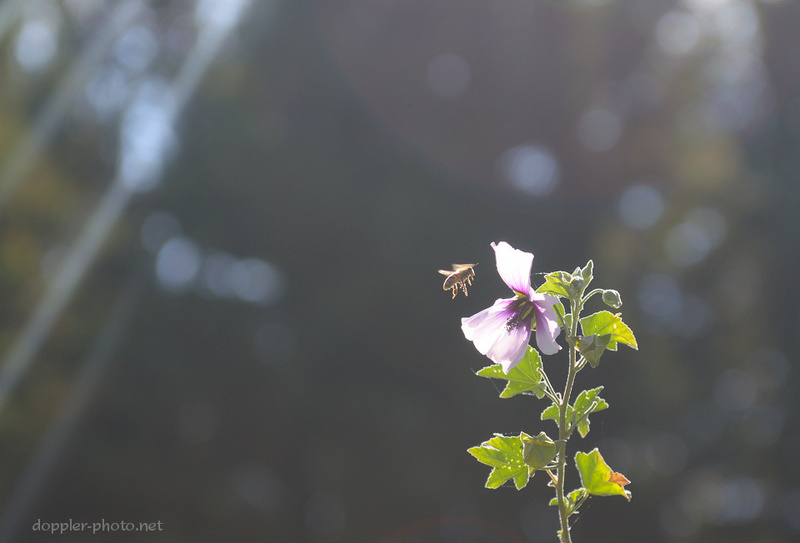 I love how the bee is all limned in light. Yeah, this isn't my sort of traditional style, but it was still pretty neat, and the backlighting does make a pretty neat outline. I went out again and got one that's more akin to the how I typically shoot things, I'll probably put it up a little later this evening.